If you're a PlayStation ultra fan, then this new line-up of PlayStation inspired furniture should be right up your alley. Sony has partnered with PBteen to create a brand new collection of PlayStation gear that is definitely not overpriced in any way, shape or form. No sirree! I routinely leave an extra $250 laying around to impulse buy bean bag chairs with Sony branding on them. 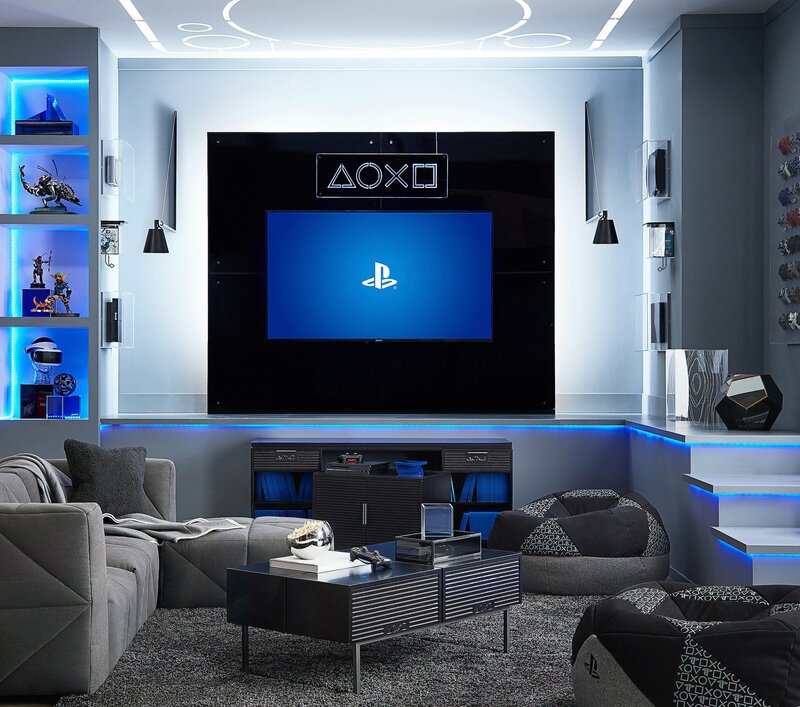 Joking aside, you can now order a PlayStation inspired media console, lounge table, bean bag chair, an "iconic" wall light, and a surprisingly awesome looking acrylic game cubby. The materials don't look cheap, so this could end up being pretty decent quality furniture for your living room. You'll just have to get over the face button etchings, which might put off people looking for more low-key furniture.